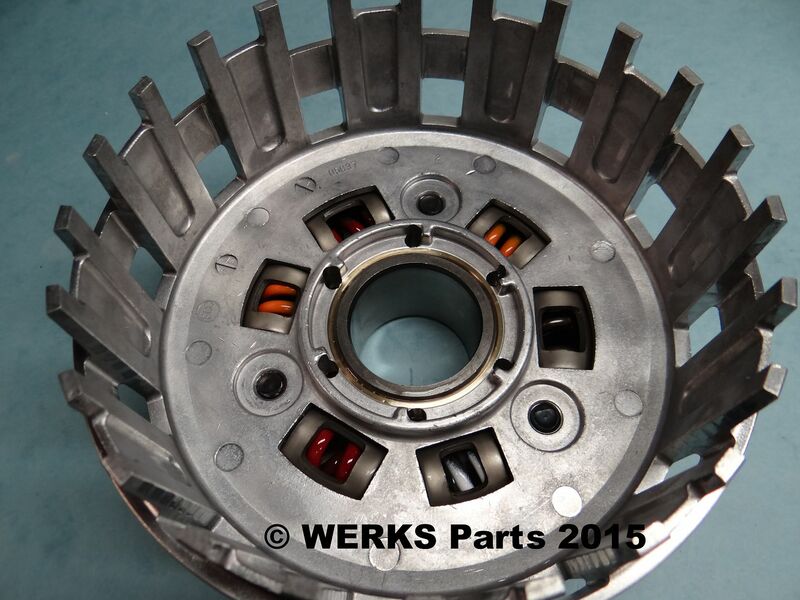 The 2014 and newer DL 1000 clutch baskets have a different part number from the service part for the first generation DL 1000. These new parts and quite a few of the early generation clutch baskets have an improved aluminum basket casting that has tighter tolerances. These have a number "2" cast into the inner flat surface of the basket. If you bought one of these thinking they were a permanent fix, I think you are going to be disappointed! 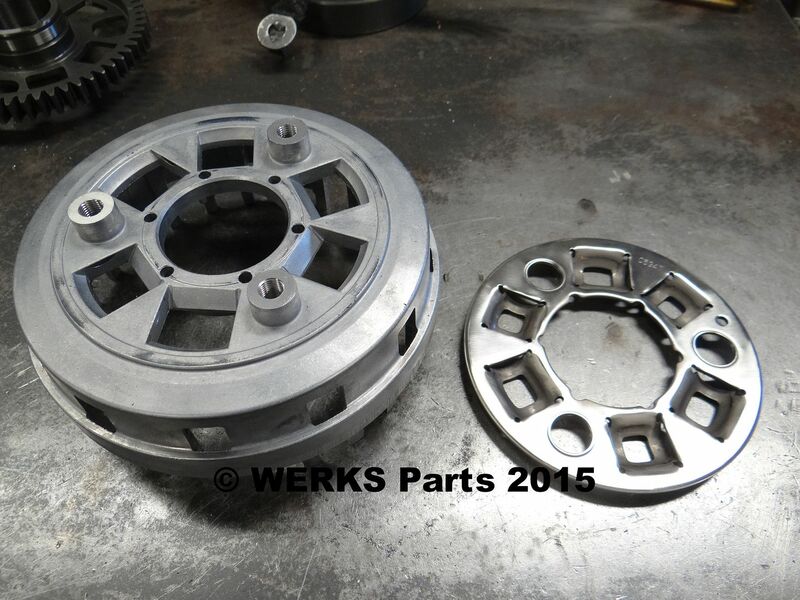 I have seen a number of these in the shop and they are showing the same wear problems as the DL 1000 clutch baskets have had all along. They might go a few more miles before they start going bad, but not enough to really say anything good about them. 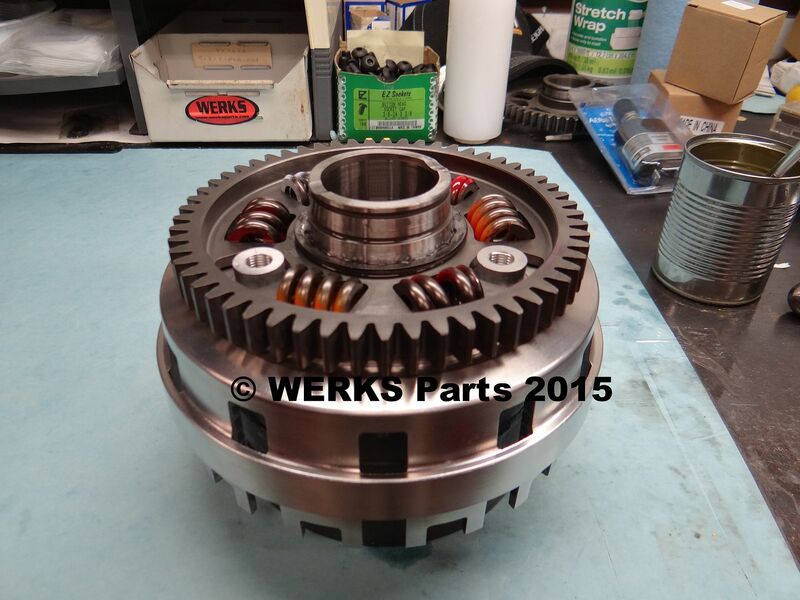 This is a production clutch basket from a 2014 DL 1000. Internally these have exactly the same springs and timing as the 2002-2012 DL 1000. This picture is the first look inside after drilling out the rivet heads. This particular clutch basket only has around 7,500 miles. Owner knew what chudder felt like and could feel the early stages in this basket. Sent him a new OEM basket with full WERKS modifications. This basket was returned and will be the start of an exchange program for 2014 and newer DL 1000's. You can see where the springs are already beginning to embed into the aluminum. In a modified basket the springs will never touch aluminum. Both sides of the steel gear have the bearing surfaces machined for a much smoother finish. 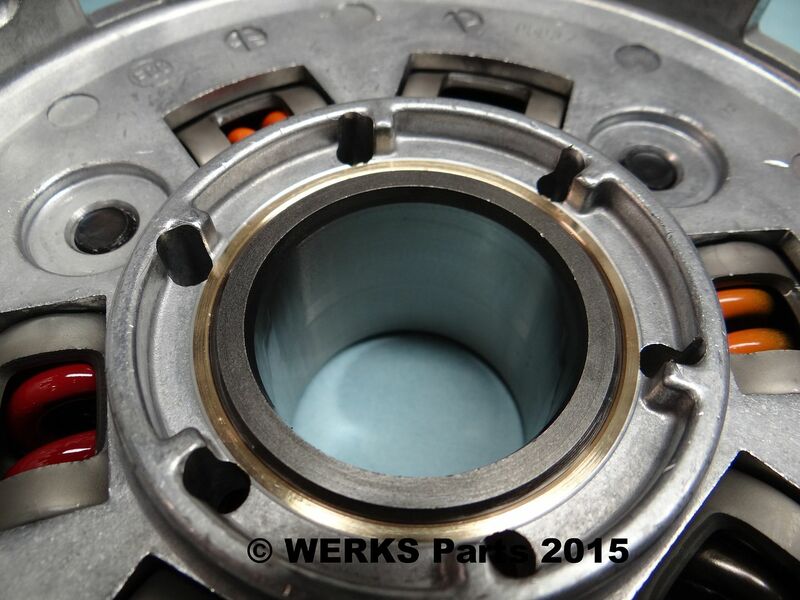 With the upgraded bronze bearing in the basket, this insures very little wear over the life of the engine. This picture shows the basket and inner plate prepped to head to the milling machine. There they will be machined to fit the plate into the basket for a perfect fit. They become one piece and cannot move independently like the factory design that promotes the wear that becomes chudder. This picture shows the basket in the assembly process. Looking at the hub and above the Belleville washers you can see the machined area where the WERKS outer bearing supports the basket against the gear. This picture shows the bronze bearing fitted to the aluminum basket and bored to a perfect fit to the steel gear. This is centered to within .001" of perfect center of the basket. This insures all parts are in proper alignment. While mounted in the lathe to machine the main bearing, the anti-balloon band on the outer diameter is machined to remove the nasty casting flash the factory leaves on them. This casting flash is far from uniform around the basket and in some cases could affect balance. Removing just enough material to even out the surface insures a correct balance. This basket is finished. 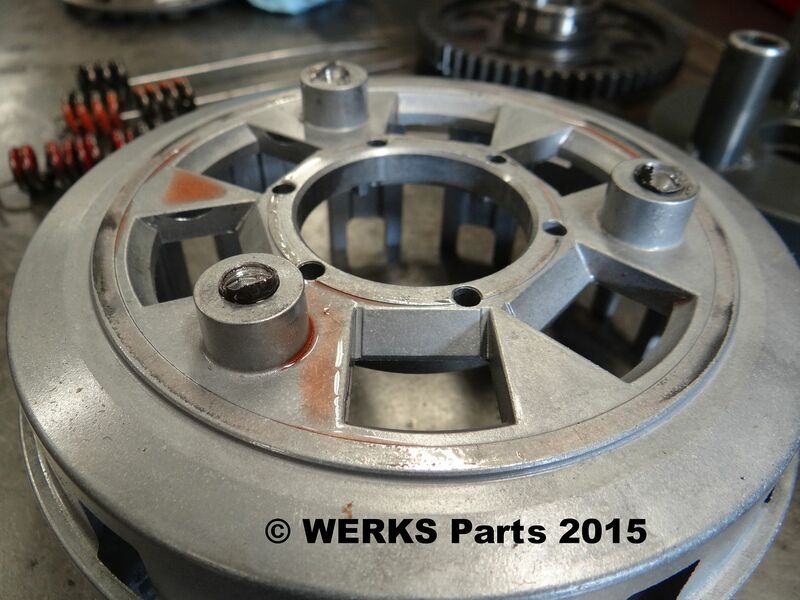 Once assembled they are run in a spin fixture to check for runout of any component. 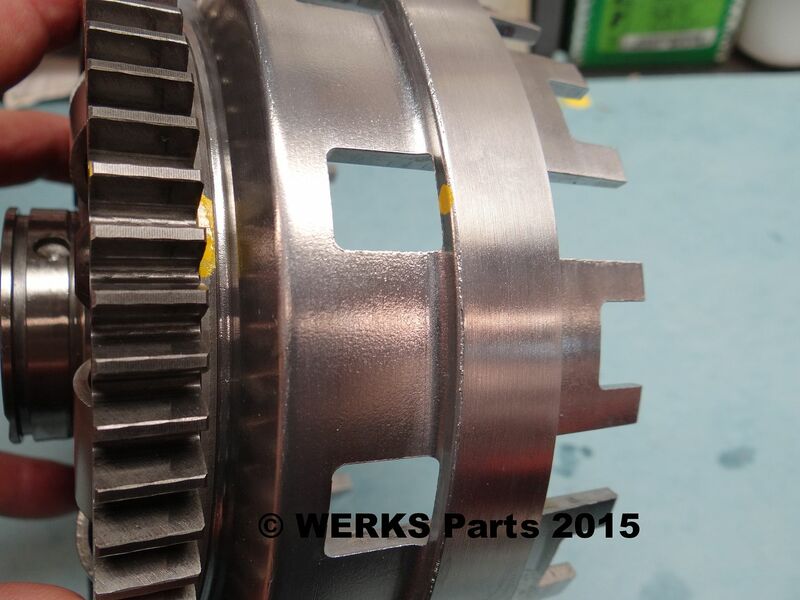 You can see the WERKS Parts outer bearing upgrade in this picture. 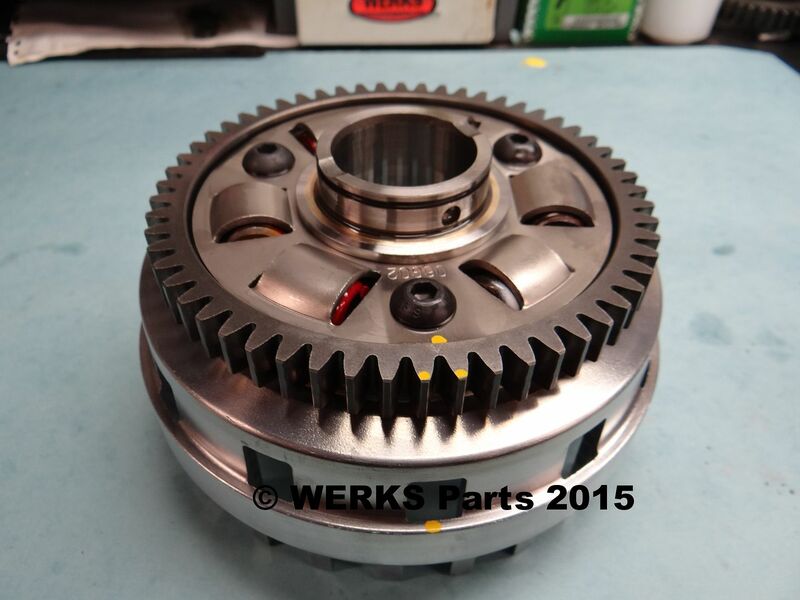 This stabilizes the clutch basket better than have just one bearing in the basket like the factory design uses. 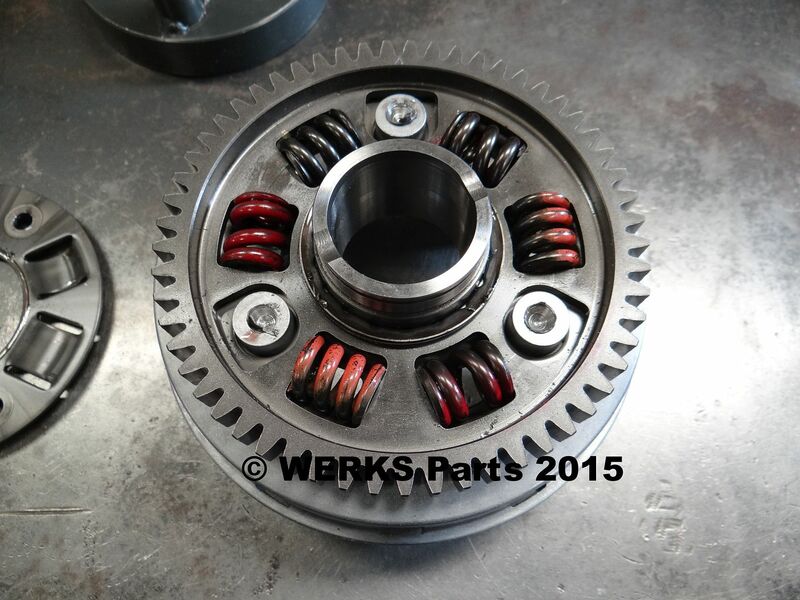 Promotes more even wear of BOTH bearings and allows the clutch plates to engage/disengage more smoothly. You know I'll be coming to you if my Vee2 needs a clutch basket rework. 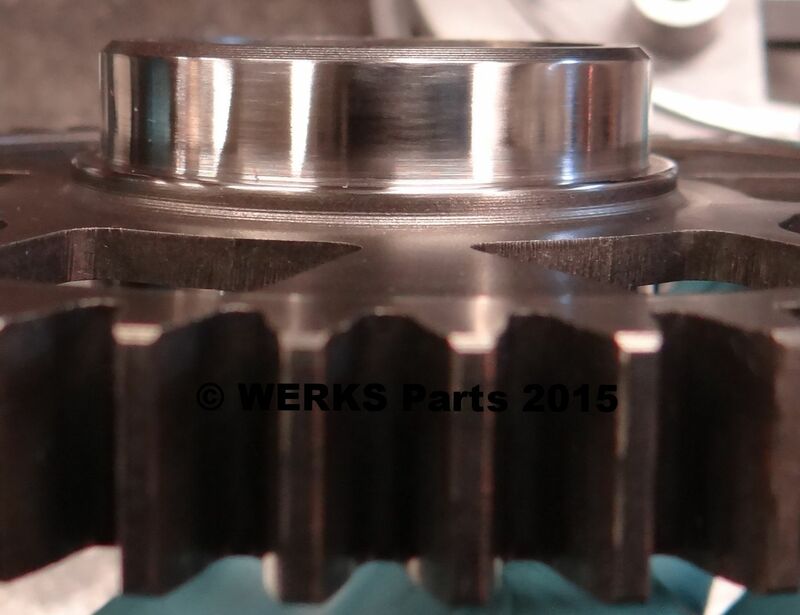 There is a discussion in the Vee2 forum about first to second gear shifting harshness. Well, more like grinding. Might want to jump in there. Nice! I am in Dallas, can I drop by and get fitted?